International Water Scarcity and Variability considers international water management challenges created by water scarcity and environmental change. Although media coverage and some scholars tend to cast natural resource shortages as leading inexorably toward armed conflict and war, Shlomi Dinar and Ariel Dinar demonstrate that there are many examples of and mechanisms for more peaceful dispute resolution regarding natural resources, even in the face of water paucity and climate change. The authors base these arguments on both global empirical analyses and case studies. 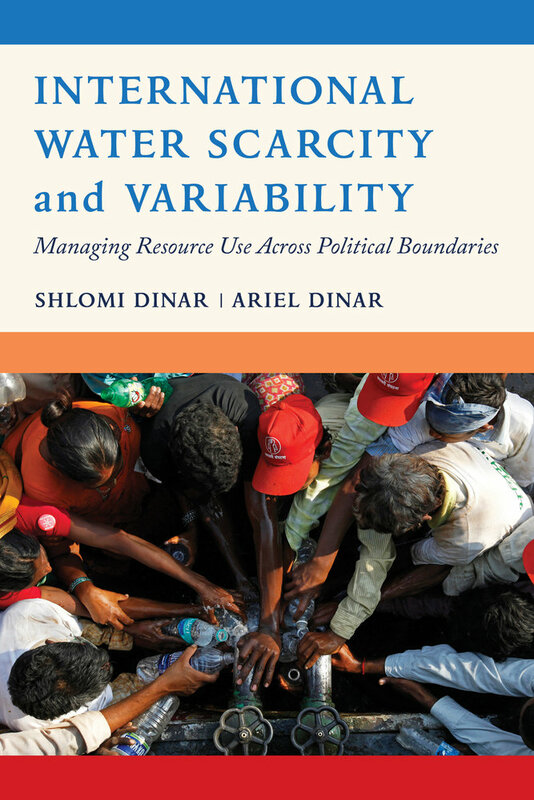 Using numerous examples that focus on North America, Europe, Central Asia, and the Middle East, this book considers strategies and incentives that help lessen conflict and motivate cooperation under scarcity and increased variability of water resources. Shlomi Dinar is Associate Professor of Politics and International Relations at Florida International University, where he is also Associate Dean for Graduate Studies and Innovation in the Steven J. Green School of International and Public Affairs. He is the author of International Water Treaties: Negotiation and Cooperation along Transboundary Rivers, among other titles. Ariel Dinar is Professor of Environmental Economics and Policy at the School of Public Policy, University of California, Riverside. He is coauthor of Bridges Over Water: Understanding Transboundary Water Conflict, Negotiation, and Cooperation, among other titles.